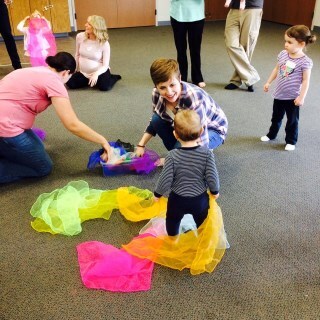 Rachel Hay is a registered Music Together teacher and the center director of Music Together of South Tulsa. She holds Bachelor's and Master's degrees in violin performance from the University of Iowa and University of New Mexico. She began Suzuki piano and violin lessons at an early age and her teachers instilled in her the philosophy that music is a language all children can speak if given early exposure and joyful consistency. Rachel came to Music Together® as a parent and is proud to be involved in a curriculum that respects the child, involves the parent, and creates a beautiful community. 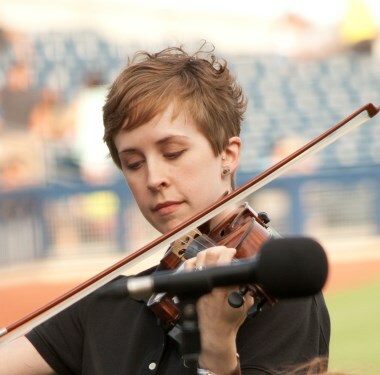 Rachel is a member of Tulsa's Signature Symphony and the Signature String Quartet- an ensemble dedicated to bringing music education and performances to local schools and hospitals. She also maintains a private violin studio of over 30 students. Rachel has previously taught orchestra in public and private schools, and currently the proud mother of a girl (5) and boy (2.5). Copyright © 2019 Music Together of South Tulsa. All rights reserved.